Want to get more traffic to your website or blog? This is the right place to learn about best SEO. You don’t know about SEO? Then read this first, Introduction to SEO article in this site. 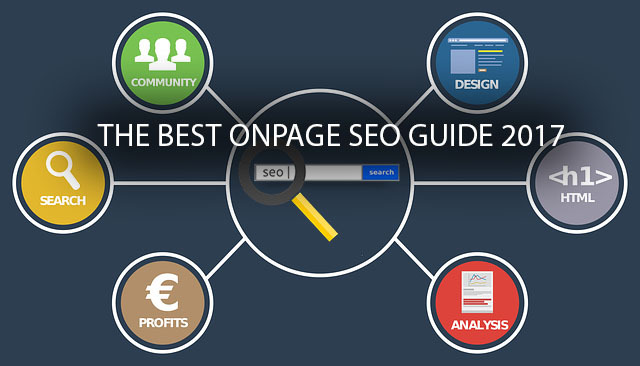 On page SEO is main part of the search engine optimization. So read carefully. Search engines aren't a hard thing, but a set of algorithms. When Google show a website in the results of first page, Google look into different factors to rank them for a keyword. In on page SEO, we make easy to identify that targeted keyword to search engine. This is the important part in the post. If you use attracting words, people didn’t left without click the result in google. Try to put targeted keyword on the start of the title. If you thing that is not suitable then, put anywhere in the title. Keyword must include on the title and make title using under 65 characters. Don’t repeat keyword. It could actually affect ranking. Don’t do that. Use keyword one time in url. Don’t use any special characters, brackets, underscore and symbols. Make it nice length. Use dashes between each word. Create a Meta description less than 150 characters. Put the targeted keyword(s) in the description. If, you didn’t modify post description Google will identify first 150 characters as description. So modify description tag with focus keyword(s). Use only one H1 tag in each post. In WordPress usually the post title tag is set at H1 (default). So you don’t need to add any more H1 tags in the post. Try to put H2 and H3 tags as subtitles. Don’t repeat H2 and H3 tags. Write your 1st paragraph clearly “What you going to explain in this post. People read first paragraph, if they seems is useful article then they didn’t back without spend some time in the site. So your bounce rate will be decrease. This is help to increase your SEOscore. Try to put focus keyword(s) anywhere in the first paragraph. This will help to increase search engine rank. People think if they use more focus keyword in the post they get more chances to get higher rank in search engine. But it’s a fault. Because Google and most search engines look for 1.5% of keyword density with mix of LSI keywords. Add a minimum one image to your post. This will help to tract readers for your blog. Before upload images you should resize to fit your blog. So it’s help to increase page loading speed. Also add focus keyword on ALT tag. Use more than 500 words in each article. This not only for help to SEO. Also help to get AdSense approval fast. All the bloggers has a dream for get AdSense approval. Add some link to related posts using some related keywords in the article. So readers spend more time on your blog. Make sure your interlinking is relevant and necessary. While linking to external site, consider those are trusted or not. If you have doubt, then use a no follow tag. Because Google didn't take an advantage of Nofollow links. You must use do follow links to trust worthy site. Ex: Wikipedia, Diply. This will make your site appearance in the search result. Try above thinks and get best seo result on Onpage SEO. If you have any doubt, ask free in comment section. Don’t forget to share this useful information with your friends. This is the help from you we expect. Thank you and happy blogging. This is very good and easy onpage guidance for me. Thank you so much... keep writing..
this provides me best guide and keep up the gud work.